This is it! 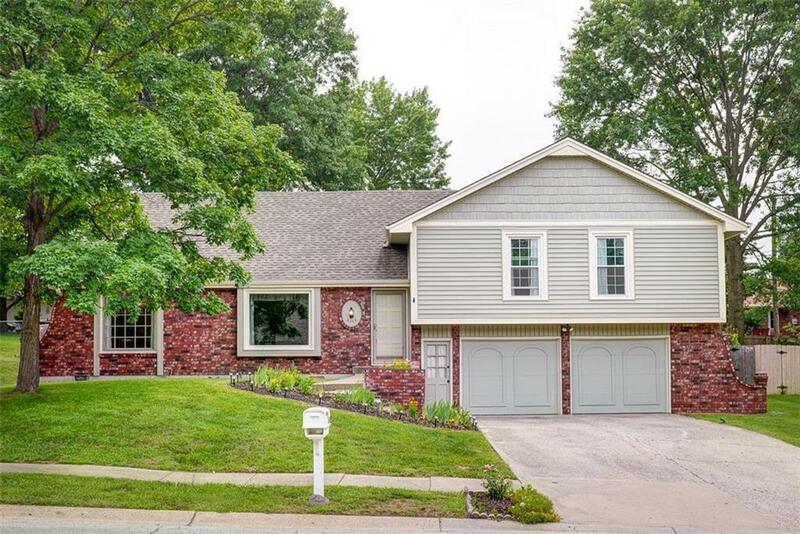 This beautiful home has been immaculately maintained and is in a lovely established neighborhood with mature trees and NO E-TAX! Four spacious bedrooms, master has en suite bathroom and walk-in closet. Formal living room AND dining room, PLUS an updated eat-in kitchen with hardwood floor and a double oven, PLUS a soaring family room - and a fenced yard with an in-ground pool too means space for EVERYONE! Brand new carpet through much of the house! With tons of extra storage in attic/basement too! Directions: From Vivion Rd take Indiana Ave. to NE 60th St, right on NE 60th to Cleveland, left on Cleveland to house on right - look for red sign. GPS will get you there too!